It’s Friday night and the room is about half filled with wide-eyed kids in their late teens or early twenties ready to virtually fight each other. Lee works at the Family Fun Arcade at on Balboa Boulevard just north of Devonshire Street in Granada Hills. He closes on the arcade’s busiest nights, Thursday through Saturday. But those nights have been a little less busy lately. 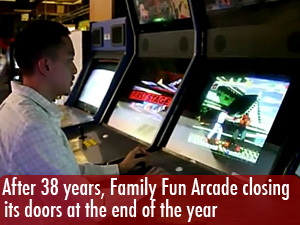 Family Fun Arcade will be closing its doors forever on December 31 after 38 years of business, according to its twitter account. 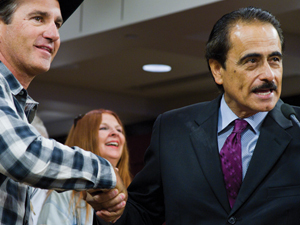 The arcade has been a staple in the San Fernando Valley, opening in 1973 as a family attraction where parents would bring their kids to play Pong or pinball. But as important as Family Fun Arcade is to the Valley, it is even more important to the fighting game community. Family Fun Arcade’s image began to change in 1991 when Street Fighter II came out. A few fighting games had come out before Street Fighter II, but nothing made a greater impact. Gamers would travel to an arcade that had Street Fighter II and Family Fun Arcade was one of the few Southern California arcades that had it.